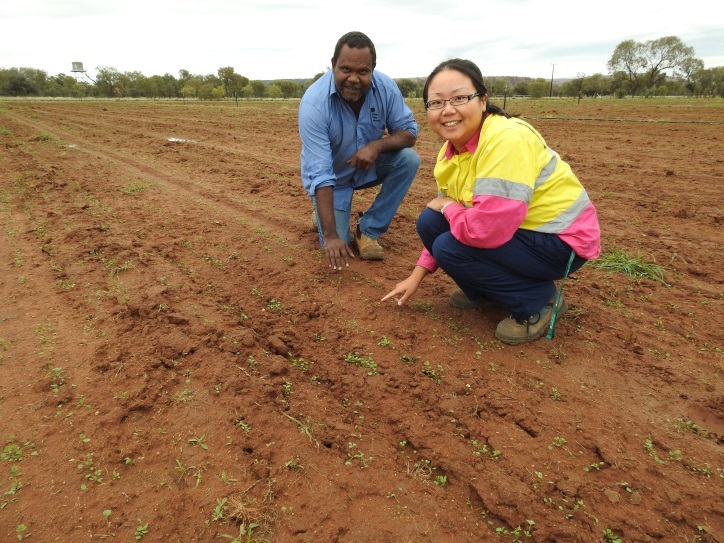 The Plant Industries Development team at the Arid Zone Research Institute is using treated wastewater from Power and Water’s Ilparpa treatment facility for a lucerne trial. 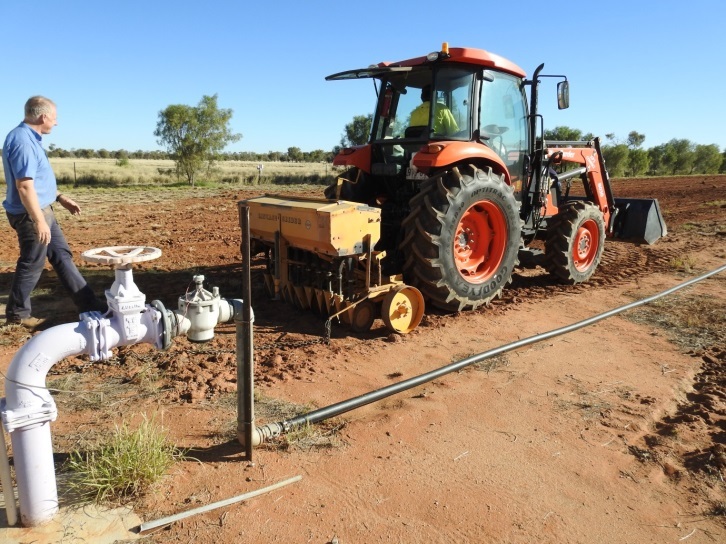 An infrastructure project has set up two paddocks on the farm for the direct use of treated water from the ponds at Ilparpa. This water, after going down the collective plug holes of Alice Springs, is treated to remove solids and severely curtail its microbial population so it is safe to grow plants. The water is then piped to AZRI where the Department of Primary Industry and Fisheries uses it under strict safety conditions from the Department of Health. The water still contains significant amounts of dissolved ions, which is typical of recycled water around Australia. “The water has an electrical conductivity of about 1.8 deci-seimens per metre, which is the same as recycled water from Adelaide or Melbourne, for example. The aim of our trial is to find out what this quality of water will do to the local soil under a cropping regime. We started with lucerne because it is a local crop with a long history in the area, it is not for human consumption, and we can use it on-farm for our animals”, Stuart Smith, leader of the project explained. “Our biggest concern is build-up of salinity, but we hope to be able to manage this with crops that take up a lot of ions from the soil and regular flushing with better quality water”.